First time in many many years... we've got a beachfront offering on St. George Island in the Plantation (the most exclusive area of the island) priced at under $1,000,000. 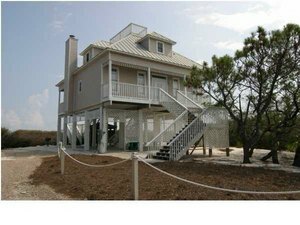 This is the home, called "Coastal Cottage," offered for sale via another brokerage on the island. They just lowered the asking price to $999,000. It is a short sale, and you can read about what a short sale is on the Newsletter section of this website, or just call me to explain.